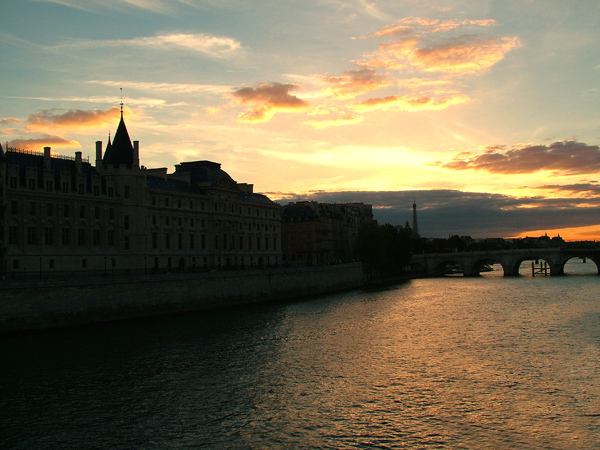 Sunset over the River Seine in Paris. The Eiffel Tower can be seen just beyond the bridge. 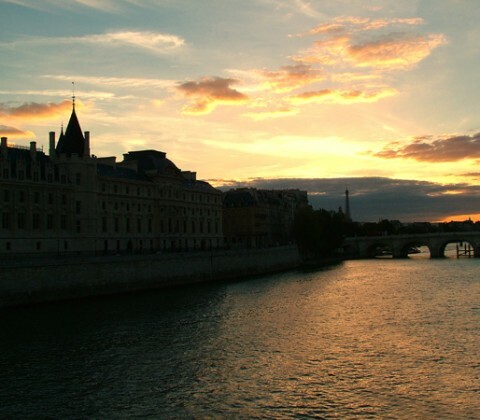 The northern side of the river is described as the Right Bank (Rive Droite) and the southern side as the Left Bank (Rive Gauche), because when facing the same direction that the river flows, these are the directions to the left and right.